A lot of people will be car shopping again this summer. May through August typically are four of the top six months of the year for new-vehicle purchases. And considering the number of new cars the auto industry expects to sell again this year – more than 17 million – the summer likely will be blazing hot. Sales for the first quarter of 2017 were nearly the same as last year’s record results. But that doesn’t necessarily mean you should avoid shopping for your next car now through August. Indeed, May, June, July and August are a good time to be looking for a vehicle, especially if your new-car decision is teeter-tottering between 2017 and 2018 models. The last of the 2017s will be hitting showroom floors, while more than half of the vehicles listed recently by Autotrader.com as “Coming Soon,” i.e., spring and summer, already were 2018 models. The Mercedes-Benz GLC43 AMG may be one of the last of the 2017s, arriving at dealers this winter, months after the 2018 GMC Terrain and Honda Odyssey in the spring, according to Autotrader. 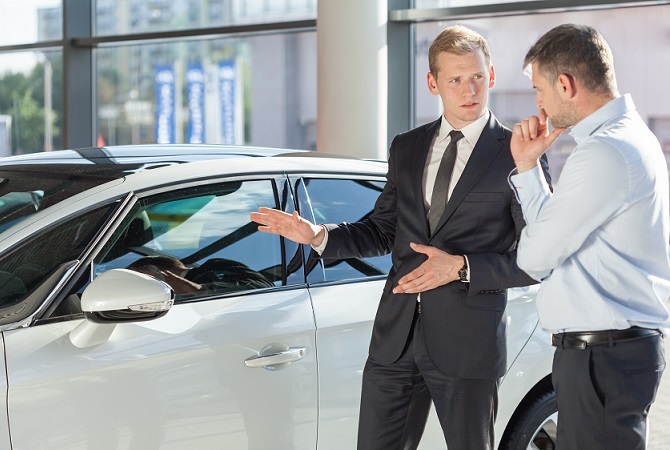 And there’s plenty of dealership activity to push results – and consumer buying opportunities – with Memorial Day and Independence Day sales events, end of the second business quarter in June, and end-of-model-year and back-to-school promotions late in the summer. Selection during the summer will be better than if you’re purchasing at the end of the year, when common wisdom holds that there will be more bargains on 2017 leftovers. Consumer buying opportunities won’t be just for new cars, but for used (pre-owned), as well. “The percentage of vehicles that are leased, rather than purchased, in the American new-car market continues to grow,” wrote John M. Vincent in 10 Best Car Buying Tips for 2017 at U.S. News. If you want to keep track of new-model introductions, check out Autotrader’s New Model Showcase. Because, really, the best time to buy a car is when it makes sense to you.